Our 'CYS' aka Craft Your Stash group from SCS has a challenge this month with the theme 'Your Favorite Beverage'. I bought a journal for Bible Journaling a while back, and was able to complete one page in 2/2016..... I had laid out the idea for the cover and primed it, but put it away and never finished it. What a perfect time to get it out! I painted the cover while in 2016.... so, I tried adding distress inks, but they would not stick. So, painted the background with acrylic paints in a variety of colors. I added a stencil by Ranger DYS 34032 and painted using a shimmery gold paint. 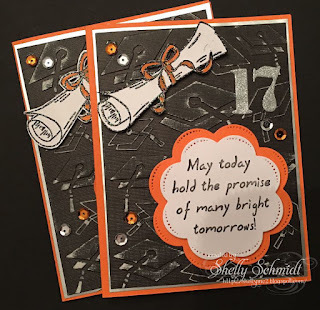 I stamped Sweet and Sassy (SNS His Book) in Black Tuxedo Memento Black ink. (Image on top lt and bottom Rt). They are colored with Copics and/or sponged with ink. I added some shimmer using a Spectrum Noir Sparkle pen. 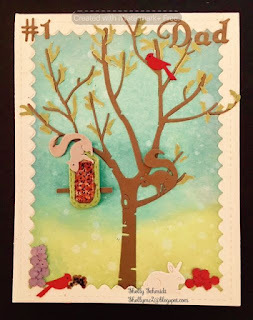 On the top sentiment panel, I used a hole punch and added multiple fibers and a cross charm. I also added a butterfly charm. 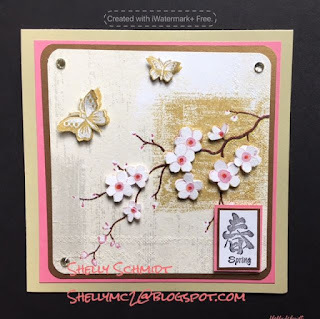 I bought the charm when a stamping shop closed about 3-4 years ago and I am in love with this pretty butterfly. 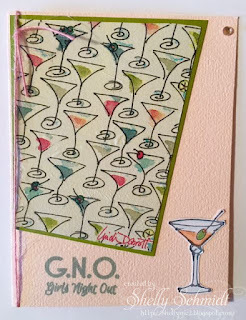 I used a dollar stamp that is years old for the martini, and the sentiment is Sweet Stamps. The CYS group can be located here. List mom Barb had the brilliant idea- lets use our stash items- with a monthly theme, I am sure finding no shortage of items to use in my creative space...!!! 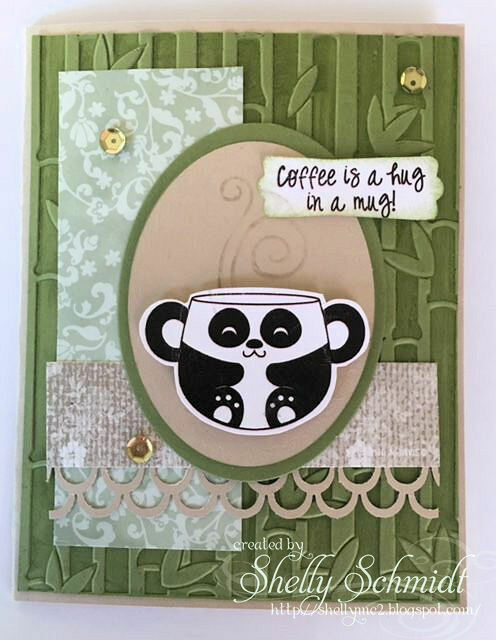 I found this sweet Panda coffee mug digital image- and could not resist! It is from the Craftin Desert Diva's shop. I had to layer the card on the bamboo EF. The DP is SU. The little sprig of steam is from a Michael Strong stamp. The sentiment came with the digi, and is punched out with a SU punch. The sentiment is from MFP- no longer open. I made my husband a fun Father's Day card- he loved it! He is a nature buff and just loves Squirrels and birds. 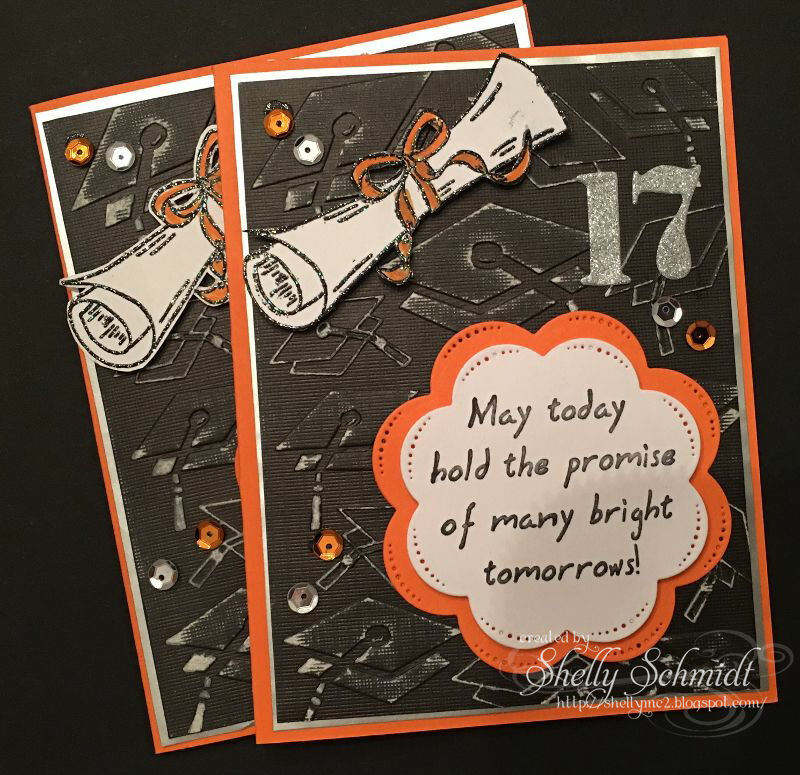 This card was made entirely with dies. 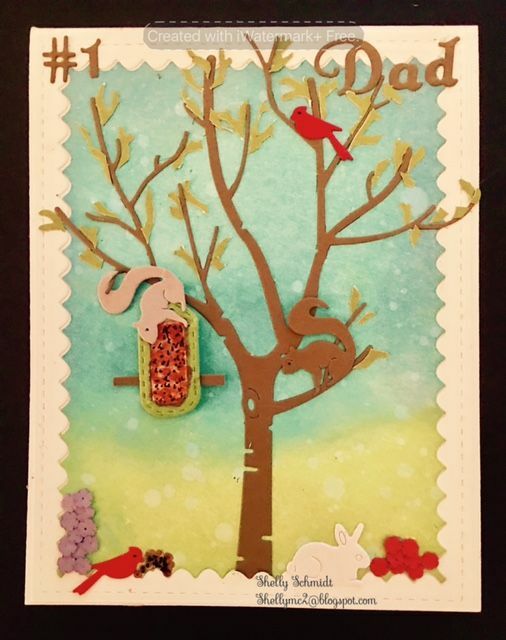 The tree, squirrels, bunny and the flower buds are by Cheery Lynn Dies. The Cardinals are from an Impression Obsession die. The white border is a Gina Marie die. The leaves are from a MS edge punch that I cut into pieces and applied. I applied Distress Oxide inks- first Peeled Paint and Broken China. Next, I added Cracked Pistachio and Faded Jeans. The letters/number were cut with Die-Versions Elegance Font DV411 die. I had to buy a bird feeder that spins off the squirrels because they were taking over the back yard!!! Did I mention he even names them? 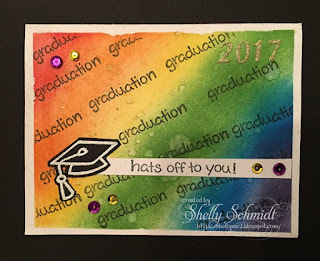 I used the other half of the napkin from THIS post, and made another card. For this card, I used the entire background. After removing/separating the backing layers from the napkin, I adhered it to a piece of cardstock that was run thru the Xyron. I fussy cut the butterflies and the flowers on the 2nd panel and popped them up on dimensionals. I added some shimmer with a Shimmery pen. The sentiment is from Art Neko/About Art Accents. 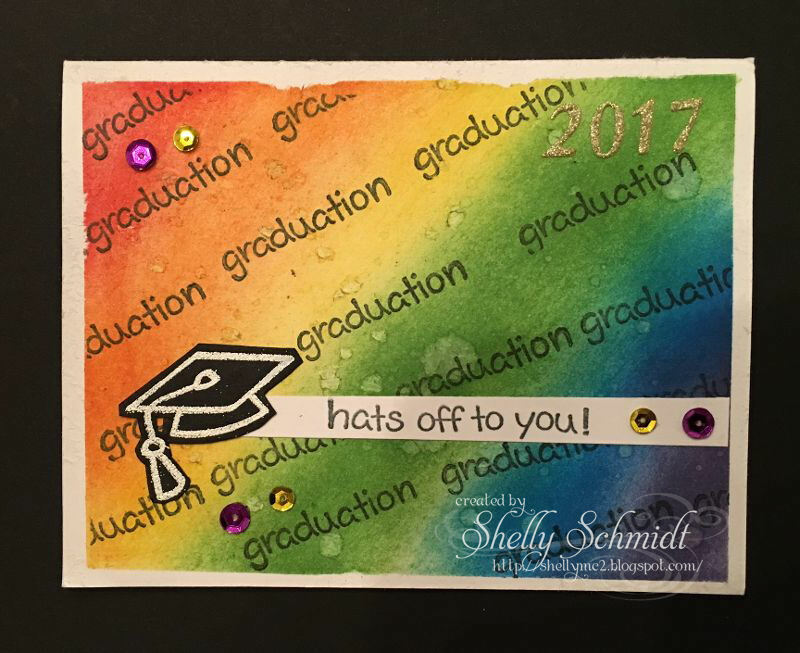 I finished off the card, as you can see, by rounding the corners on the top two layers and adding sequins. I have been pulling out all of my stash and using it up a little at a time! 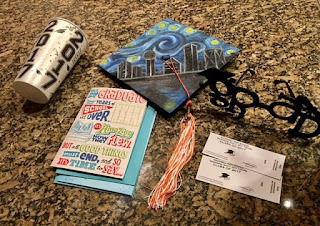 This is the cardstock that you sand and the core is a different color I found this grad cap EF at Tuesday Morning a while back and it had never been used yet.... 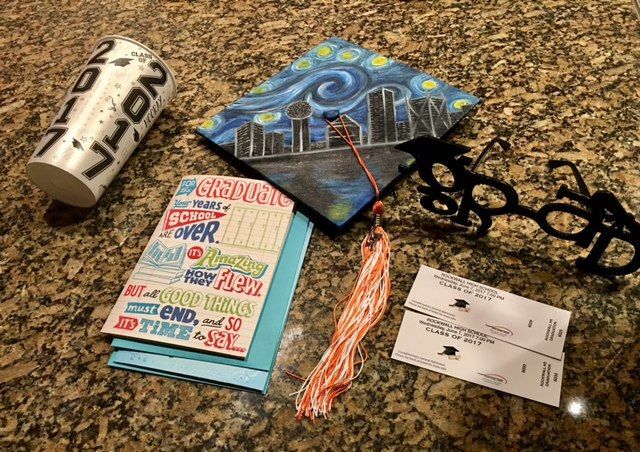 The grad scroll and ribbon is by Angel's Attic. The sentiment is SU. The dies are unbranded, I cut out the numbers using some sparkly wrapping paper left over from Christmas last year. I adhered 2" sticky tape the the backside of it before I ran it thru the Big Shot so they were like stickers- already having adhesive on the back. I added sequins for an added touch of fun! I made the gradient background using distress inks. 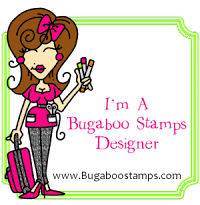 I came across a stamp set that I have never used- Hats Off to You by Lawn Fawn. 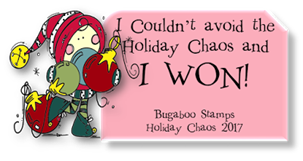 I love this fun card! The numbers are cut out of the wrapping paper I mentioned above. 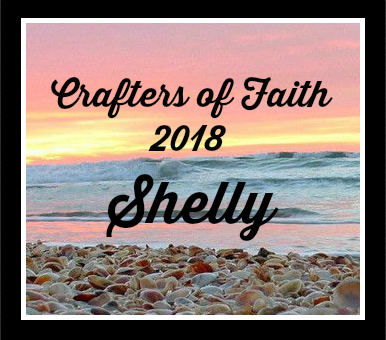 I joined a group on SCS called Crafters of Faith. 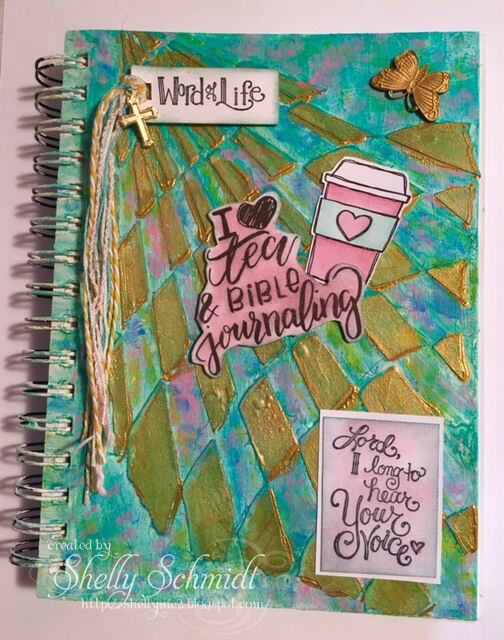 We create with a like theme inspired by a scripture and post on the 7th of each month. I am the hostess this month, and this is what I came up with. In the hustle and bustle of our everyday lives, it can be hard for us to sit and be still! To calm our minds and hand over every worry or anxiety to God. 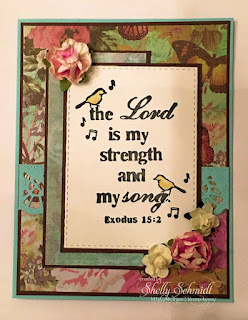 I love this theme- any time I begin to worry about something, or have an occasion where everything does not fall in line, or a worry about the kids or even family members with medical issues, I hand it over to God! So, for the COF challenge, post a card using Trust of Faith as the theme, or using the words Trust of Faith. I love to worry- so I work really hard to hand it over to God when I have something on my mind. 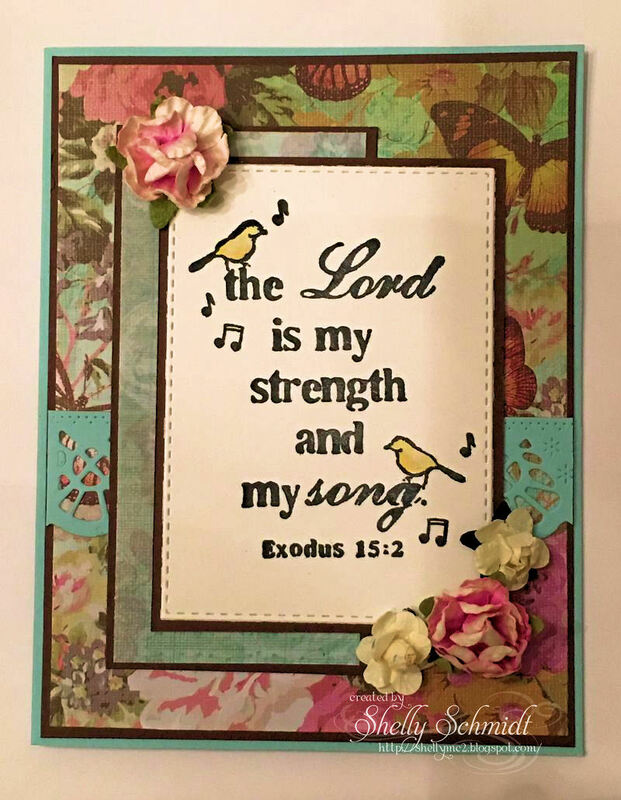 I was looking for my Psalm 46 stamp and came across this image- from Unity- which I think speaks to my philosophy of handing it over to God- trusting in HIM!! !